A bold image with rich colors that must be seen in person to appreciate. 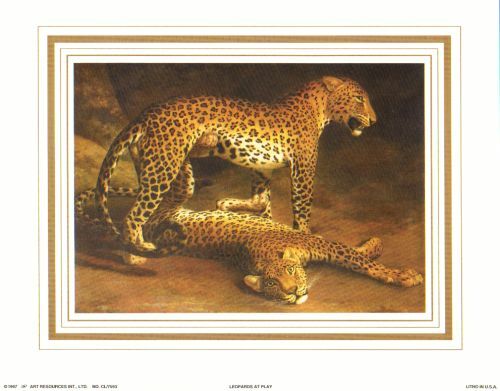 Two leopards at play, their gold and brown colors creating a gorgeous image. Also known as Two Leopards Playing in the Exeter Change Menagerie. This print can be seen in the Woody Allen movie Small Time Crooks.